Liquid Caffeine sells pure caffeine that can be added to any drink. 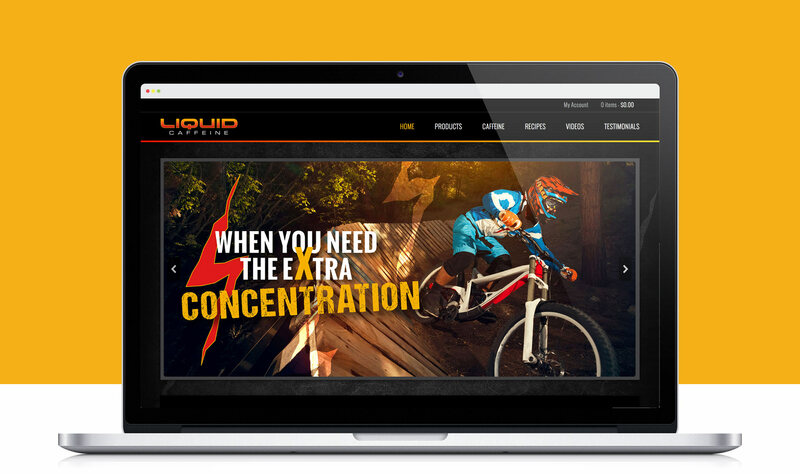 We worked with them to develop a brand that would appeal to a large “active lifestyle” customer base and help bring their business to the next level. We created a logo, t-shirt designs, product labels, and a full e-commerce website where they sell their products.